The Equal Employment Opportunity Commission has filed suit against three employers for violating the Americans with Disabilities Act (ADA) and Genetic Information Nondiscrimination Act (GINA) with their company wellness programs. Honeywell, Orion Energy Systems and Flambeau Inc. are all facing litigation over penalties and fines levied against employees who refused to participate in company wellness programs. Employers that offer voluntary programs may ask participating employees disability-related questions and collect results from biometric testing and other medical exams, as long as they keep the information confidential — and the program is truly “voluntary.” The EEOC has determined that if an employee faces any kind of discipline for refusing to participate, such as a fine or becoming responsible for the full cost of their health plan premium, then the program is in essence involuntary. “The EEOC describes it as ‘you can’t penalize employees,’ but they have not defined what constitutes a penalty,” said Debra Friedman, attorney with Cozen O’Connor’s labor and employment practice group. On its surface, the EEOC stance appears to collide with the ACA. The federal rule on “Incentives for Nondiscriminatory Wellness Programs in Group Health Plans,” in fact, allows for penalties in certain circumstances. By defining “reward,” for the sake of the ACA, as meaning either incentives or penalties, the law’s language allows a maximum permissible wellness program incentive (or penalty) of up to 30 percent of the cost of health care coverage, jumping up to 50 percent for programs designed to prevent or reduce tobacco use. However, the ACA is clear that these reward rules apply to health-contingent wellness programs that are tied to a desired outcome. The law contains no direct guidelines for rewards associated with participatory wellness programs, such biometric testing programs where employees are not obligated to take further action to meet a specific standard (such as attain a specific blood-pressure range or BMI level). In its litigation against Honeywell, the third employer sued by the commission, the EEOC pointed out that employees not participating in the company’s program would have to pay up to $2,500 in “direct surcharges,” as well as lose “up to $1,500 in contributions” to their health savings accounts. While they don’t need to achieve any particular results, employees must submit to biometric testing in order to receive a premium discount. At Flambeau and Orion Energy, employees who opted out of the wellness program were forced to pay 100 percent of their health insurance premium. The EEOC asserted that these penalties were so extreme and had such “dire consequences” that, in practice, they rendered the wellness programs involuntary. In programs and required medical exams that are involuntary, the ADA states that employers cannot ask disability related or other personal medical questions that are not “job-related and consistent with business necessity.” There are some exceptions to this rule, but none that apply to the three employers facing suits. On Nov. 3rd, however, the U.S. District Court for the District of Minnesota denied the EEOC’s request for a temporary restraining order and preliminary injunction against Honeywell, stating that the company’s program aims to raise awareness among its employees about their health indicators, but does not break any laws because it doesn’t require any behavior changes. The court did note, though, that the case raises interesting questions as to how the ACA, ADA and GINA will work together. The Affordable Care Act requires employers to make wellness a priority in the workplace, and employers have much to gain by doing so. While there’s little research that shows a direct effect of wellness programs on workers’ comp costs, more information is coming out that supports how reducing certain risk factors can shorten claim duration and minimize claim costs. Modifiable risk factors like obesity, COPD and depression can lengthen injury recovery time. While wellness programs typically fall in the realm of employee health benefits, administrators of workers’ comp programs should take an equal interest and work internally to coordinate their efforts. 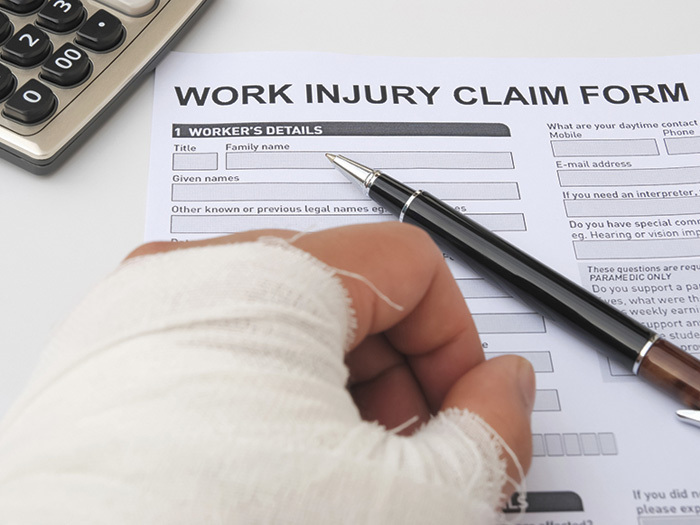 “If you’re 50 years old and depressed, your workers’ comp claim is going to cost more than someone who is 50 but has a great support network and positive outlook,” said Karen Curran, director of health risk management at Pinnacol Assurance. Participatory programs would include things like no-cost health seminars and positive rewards for submitting to a health risk assessments, said Terri Rhodes, executive director of the Disability Management Employer Coalition. The ACA also allows for biometric screenings to be considered participatory as long as employees are not penalized based on the results or required to take further action to change the results. Health-contingent or outcome-based programs, on the other hand, attach significant rewards or penalties to meeting specific goals, such as in a smoking-cessation or weight loss target, or anything measured around biometric standards, such as blood pressure or cholesterol. These types of programs run a higher risk of running afoul of the ADA and GINA. Curran said the best way for employers to avoid running afoul of the ADA and GINA is to retool their workplace safety culture to make unhealthy behaviors more difficult. For example, one of her clients had an enclosed sunroom on their property where workers were permitted to smoke. The room was equipped with picnic tables, comfy couches, and plenty of windows and natural light. “They were making it an enjoyable environment and making it easy for people to smoke,” she said. “That makes it hard for people to quit.” She advised that the smoking area be moved from the sunroom to an outdoor area underneath an umbrella, with no tables or chairs. That makes smoking less enjoyable and quitting a little bit easier to commit to. It also doesn’t violate any laws because the company was not taking away any employee’s right to smoke nor asking them to join a cessation program, but simply asking them to smoke in a different area of the campus. “Look at what you can do to create a culture of wellness, and the ADA doesn’t even come into play,” she said.